GREAT NEWS- Appleton Cheese Trail is expanding to become MIDCOAST CHEESE TRAIL in spring of 2017! The Cheese Trail was launched in June 2016 by Appleton Creamery and ME Water Buffalo Co of Appleton, and included additional agriculture related businesses. It was a great success. Both Appleton Creamery and ME Water Buffalo Co. farm stands will be open again this year. More information about this expanded version, the new farms and wineries on the Midcoast Cheese Trail, will be available by mid-April 2017. Can’t keep that Jillian away from the kids! The ever popular rite of the spring season is back! 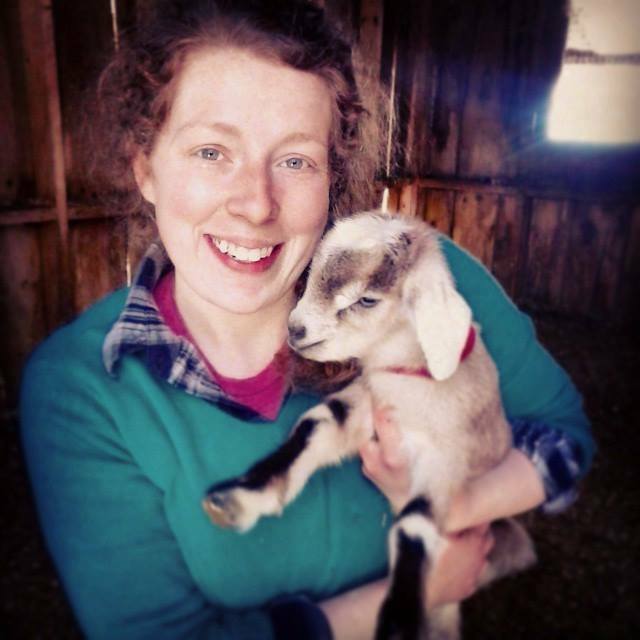 Several local goat dairies are teaming up to hold a spring Kid Hugging Day on April 23. Stop by one of our partner farms, hug some kids, sample some cheese, and welcome the beginning of our cheese making season. Visit Appleton Creamery in Appleton, Copper Tail Farm in Waldoboro, and Fuzzy Udder Creamery in Whitefield. products. Visit with the water buffalo.